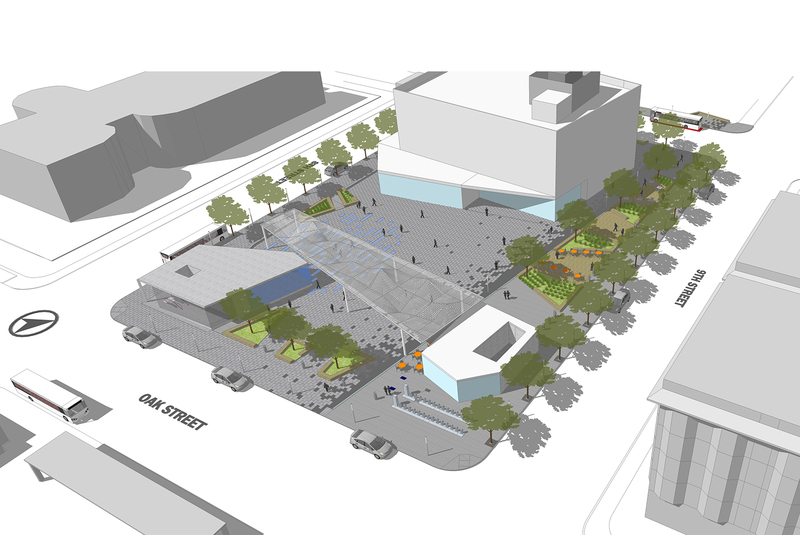 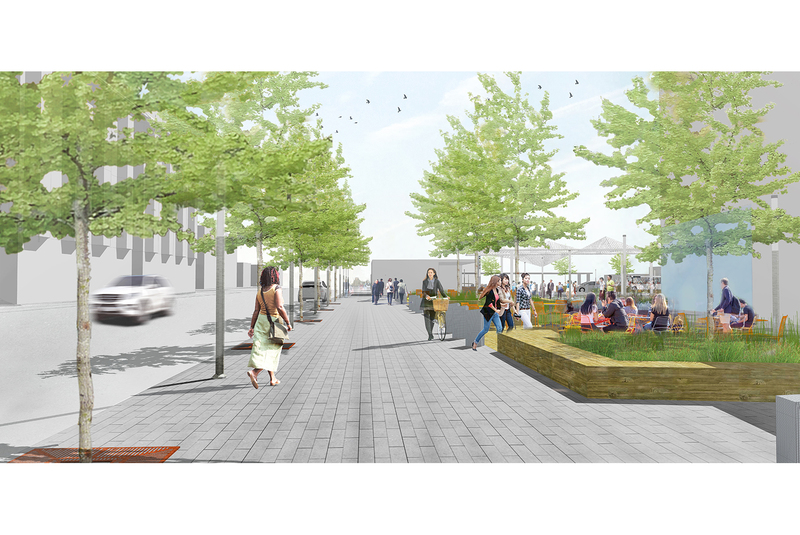 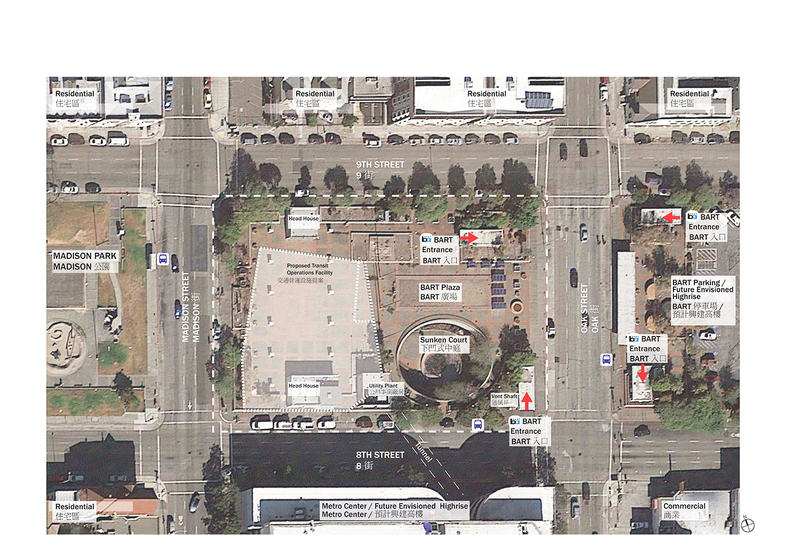 rhaa has completed conceptualization of a new Lake Merritt Plaza in Oakland California. 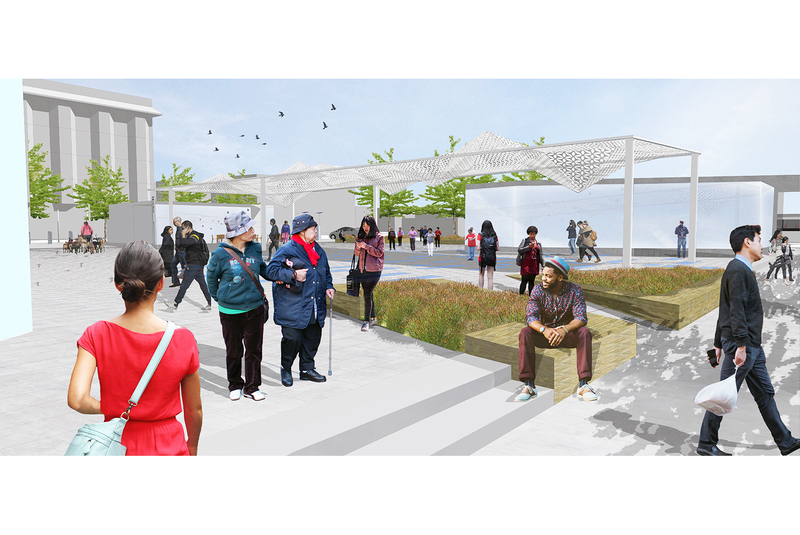 The purpose of this effort was to develop a conceptual design of the entire Lake Merritt plaza block which includes both the new Transit Operations Facility (TOF) and the publicly accessible plaza spaces. 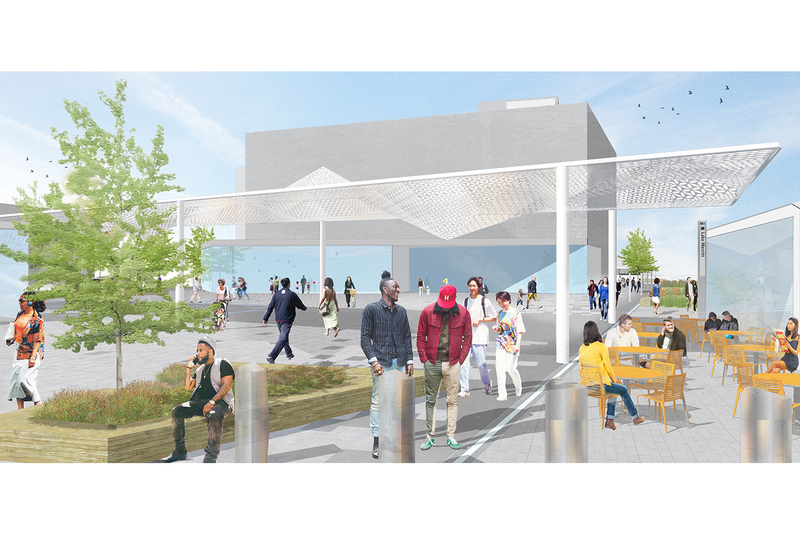 The design was approached in part as an urban design study on a broader scale, to better connect the building and plaza to the community. 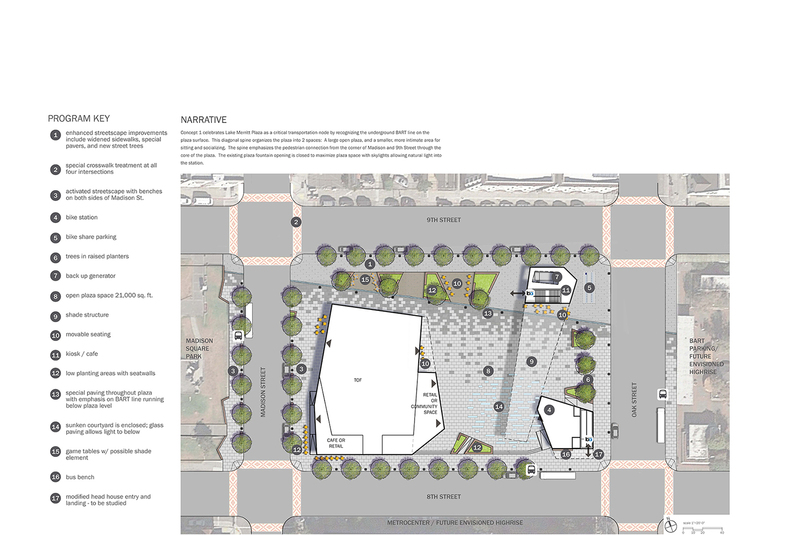 Working with merge conceptual design, the study imagines the TOF and the new plaza as a single concept that would communicate a consistent architectural language. 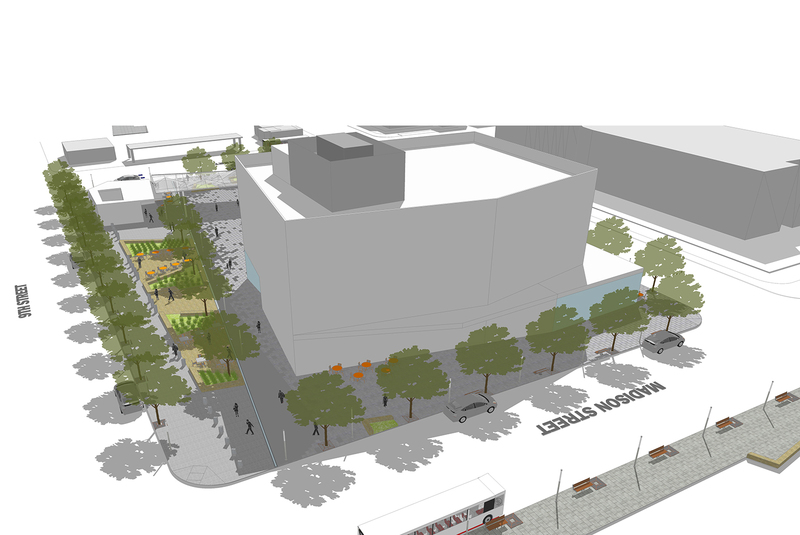 The design team, along with BART had several objectives with this project, including: using this project as a catalyst for creating future redevelopment opportunities; reflecting Chinatown’s historic role in and around the plaza location; and evolving this site into a critical hub of activity, commerce, accessibility & safety. 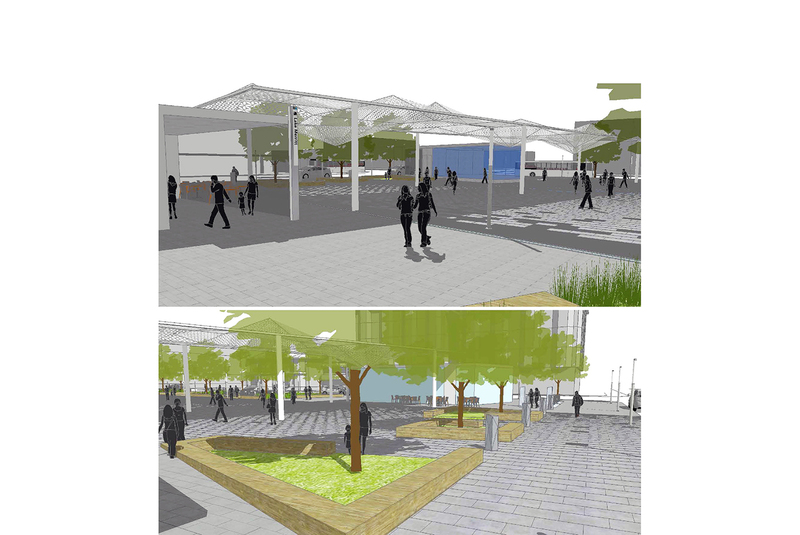 In addition to the conceptual designs for the plaza spaces, this effort included a study of the building massing, scale, programming and floor layout to create a more pedestrian friendly TOF, and research into architectural facade options that can unify the entire plaza as a single design, including the TOF, station entrances and other plaza elements. 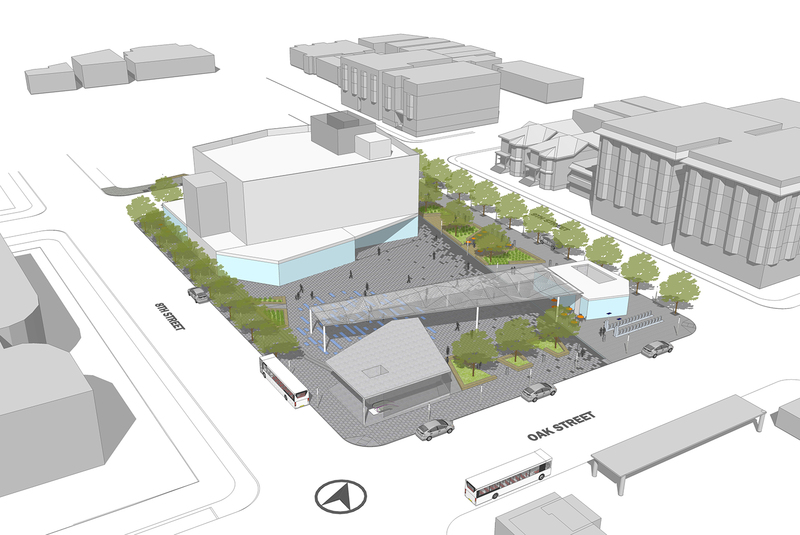 The 15% Design is now being refined though BART engineering, with full documentation planned during 2018 with anticipated construction in 2019.